If your anything like me and love washing your hair but dread having to dry it afterwards then I may have found the perfect product for you!. I have weave which means my long thick blonde locks need drying every time I wash my hair in order to keep my extensions in tip top condition. The days before I had a weave I would do just about anything not to dry my hair as it always seemed like such a chore. If I had discovered this gem of a product back then I would have always dried my hair. 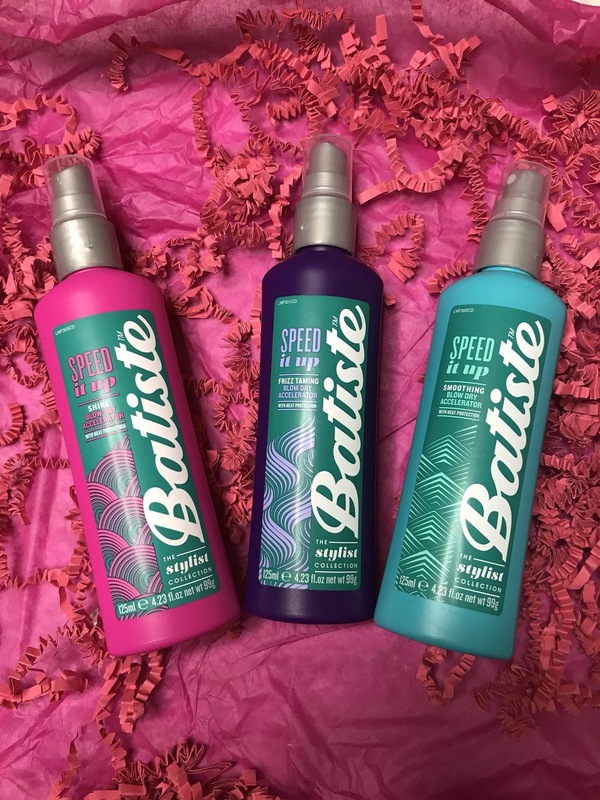 I received a parcel in the post a couple of weeks ago from Batiste and I was super excited when the parcel contained their new Speed it Up Blow Dry Accelerator sprays. They all smell absolutely incredible and I was amazed at how much quicker my hair dried. The spray claims to dry your hair 30% faster and it didn't disappoint. The amazing thing about these sprays is not only do they help you dry your hair so much quicker but they also contain a heat protector to stop any of your hair tools damaging your hair. The heat protector built into the sprays can help protect the hair from heat damage up to 230°c. 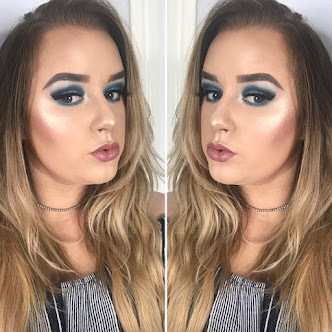 I also love the fact you really don't need to use a lot of this product as a little goes a long way. I tend to use around 6-8 sprays across all the different sections of my hair which considering how thick / long my hair is this isn't a lot of product. These amazing sprays are only £4.49 each and for the amount of time they have saved me they are well worth the money. I think this is such an amazing price for quality of this product. I am in love with this product and couldn't imagine blow drying my hair without this now. I love the fact their is a spray for everyone as they cater for different hair types. Which spray would you like to try?